Spanish Stallion who provides the perfect outcross for your Egyptian, Polish, or Domestic Bred Mare. *Delerio is an IAHA Breeders Sweepstakes Nominated Sire. 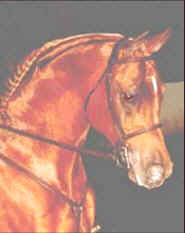 In addition to his accomplishments as a sire, he holds Championships in Halter, Country English Pleasure and Show Hack. 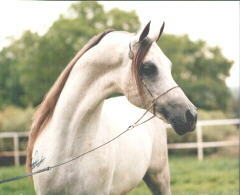 is a straight Egyptian Arabian Stallion. Affectionately know as "Regal", this stallion has sired several Champions and was awarded a Top 5 Get of Sire, at the 1997 Egyptian Event. He is an IAHA Breeders Sweepstakes Nominated Stallion and his foals are eligible for Pyramid Society and Northern California Egyptian Breeders Futurities. and is well started in his show career.